Another day, another Instagram photo that completely and utterly bombs. At first I blamed the Instagram algorithm. You know, that one that seems to have it out for bloggers, Instagrammers, and just about any other small business trying to make their mark and reach new people. And then I read that actually, it’s nothing to do with the Instagram algorithm. It’s about quality. So then I started panicking about my photography, about my editing, about my lack of model good looks. Should I be bunging a pink filter over everything? Should I be writing less in my captions? More in my captions? Maybe I should fork out hundreds of quid for a photography course? Or buy a straw hat* and pose up a storm in hundreds of different outfits? As soon as I started thinking like that, my mind went blank. I didn’t want to touch Instagram, didn’t want to engage with it, and didn’t want to even consider how I could make my feed my own. So I didn’t, for a long, long while, only chucking on one every now and then, scared I’d run out of ‘reasonably OK’ photos to post and then end up stressing myself out even more. And anyway, what was the point when there are literally hundreds and thousands of people out there with a blog and an Instagram, and oh my gosh why don’t I just give up now. Back then, my evenings were spent trying to make my Myspace profile absolutely perfect. I used to spend hours coding a Myspace background that made me look infinitely cooler than I was. And then there was all that time choosing a song that would automatically play as soon as anyone looked at my page. At the time, it was the most important thing in the world, but now I look back and thing the entire thing was insanely narcissistic. I cringe at how much time I used to spend worrying about something so insignificant. I don’t even remember the login details from my Myspace page! And that’s how I’m beginning to look at Instagram. 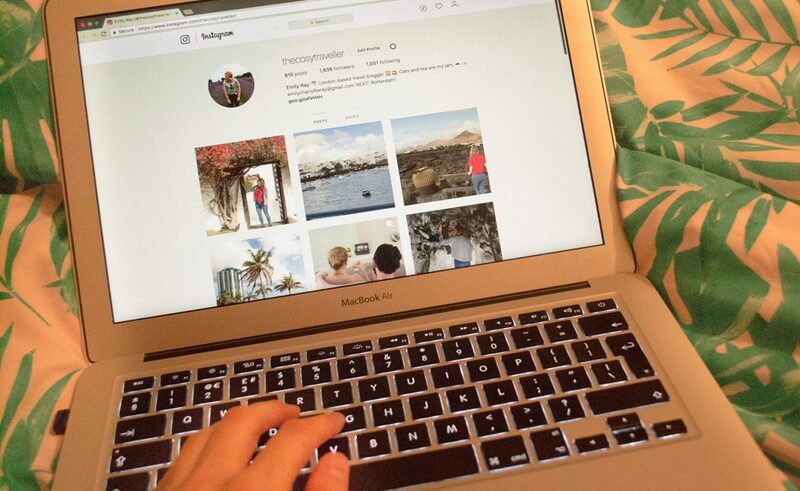 Give it 5/10 years or so, Instagram might well go the same way as Myspace. It might not. But what’s the point of stressing over something when there are far more important things to be stressing about? Before I go any further, I just want to clarify that this most definitely isn’t meant as an attack on those absolutely bossing it on Instagram, or even as an attempt to belittle their achievements. Far from it – I am so ridiculously in awe of those who can take a perfectly composed photo and who’ve mastered the art of photo editing. A beautifully curated feed can quite literally take my breath away, especially one that’s got its own vibe going on. But that’s not me. That’s not my strength. And for the first time in over 5 years of blogging, I can acknowledge that. I’m much more of a “How am I feeling today? Let’s chuck this photo up!” kind of person. One week I’ll love one particular theme, the next week I’ll want to try another. One day I’ll have absolutely nothing to say about one picture, and then two days’ later I’ll have an entire cynical essay at my fingertips about life. That’s just how it goes. TBH, I’d just be happy to post pictures of the beautiful Tromso from now until the end of time. And, yes, I know that having a certain number of Instagram followers opens up more opportunities for bloggers. Like the ability to work with brands, earn money, and enter the Cosmopolitan Influencer Awards (give me another 40 years and I might – might! – just about be eligible to apply). And if that’s your focus, then YUS, you go for it. But for all those stressing about having a smaller following, don’t lose heart. I’ve currently got just over 1,600 Instagram followers (give or take 500, depending on which way the spam bots decide to swing today), and I’ve worked with some incredible brands over the years. 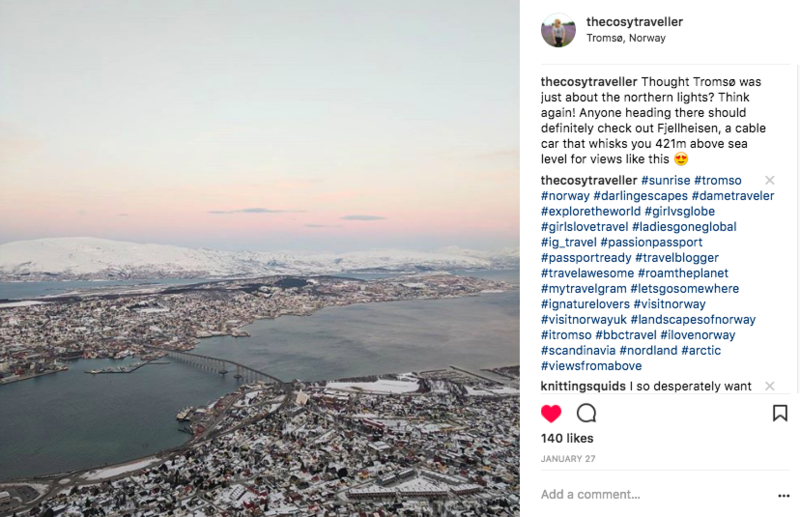 I’ve been to Cyprus with icelolly.com, travelled around the UK with multiple brands, gone skiing in Austria with Inghams, and I’ve recently come back from a volcano-spotting trip with Jet2 Holidays. Instagram follower numbers aren’t the be all and end all. 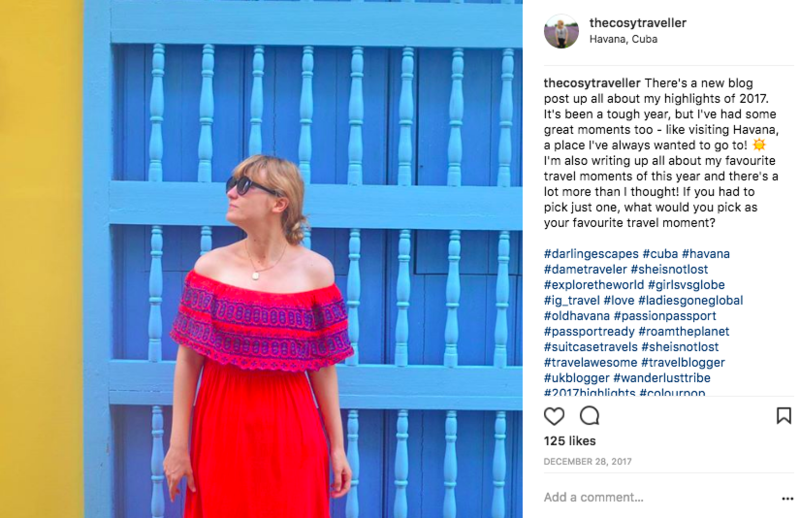 On top of that, I’ve heard Instagrammers talking about how restricting their theme can be – and how it stops them posting some photos that they’re proud of – and, honestly, I’m kinda relieved I don’t have a strong theme going on. I like having the freedom to put up what I want, when I want, and not having to spend time stressing about exposure and filters and shadows. So, my feed is a nicely rounded reflection of my current life: busy, endlessly in awe at the little things, and constantly happy to experiment (ahem). It may not be the prettiest, and it may not be the most coherent, but that’s just life isn’t it? Since accepting all of these points above, I’ve been loving Instagram a lot more. I see it as a way to engage with my favourite bloggers, get travel inspiration, and also challenge myself to take photos that I’m proud of. I’m also far, far, far more likely to tell someone when their profile is completely rocking, because I know just how damn difficult Instagram can be. And just like that, I’ve found my creativity flowing a lot more. So, to anyone like me who’s ever got annoyed by Instagram: don’t stress. Take photos that make you happy, and most importantly: have fun with it. I can guarantee that you already rock. How do you view Instagram? Do you love it or hate it? Yes. Yes yes yes yes!! I have a love-hate relationship with Instagram. I love the idea of it, because I love looking at photos for inspiration, but I hate that it’s SO hard to grow a following on there! I have between 950 and 1000 followers (again, depending on bots/follow/unfollow) and have done for about two years! Recently I watched a tutorial on YouTube by one of the bloggers I follow, about how to grow your Instagram. After that I made my photos square, spent time editing my photos and applying filters and researched hashtags, but still my following is the same! It’s so frustrating. Although I don’t have a ‘theme’ as such, I think my photos do look good as a collection in my gallery. Like you say there are much more important things to worry about, but I would love to know what I’m doing wrong! I don’t think I’ve ever love / hated an phone app so much in my life! Oh yes ! I am definitely having a love and hate relationship too.